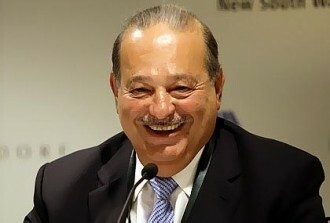 Mexican telecom billionaire Carlos Slim will be financing an Internet-based television network called Ora.TV that is set to launch sometime this year. Ora, which translates to “now” in Spanish and Italian, will be 100 percent ad supported and "available anywhere" -- pressumably without geographic restrictions. Slim, recently named the richest person in the world with a net worth of 69 billion by Forbes, has recruited some big players in the television industry to work for the network. He has hired Jon Housman, former president of digital journalism initiatives at News Corp. to run the network and renowned former CNN talk show host Larry King will reprise his role as interviewer as well as co-founder. Ora.TV will produce content that is viewable on desktops, tablets, notebooks, smartphones and Internet-connected televisions. The network will distribute programming in an on-demand format unlike linear cable television. The production quality is said to be on the same level as traditional television shows and will be available in multiple formats. The network will be joining several other online streaming options in the US including Netflix, Hulu and most recently, YouTube and their line of original programming for the net. The difference, of course, is that services like Netflix and Hulu Plus charge a monthly subscription fee where as Ora.TV will be free. It’s unclear at this point the scope of the project, as Slim’s spokesperson and son-in-law Arturo Elias Ayub declined to comment on how much money was being invested. "We are going to invest whatever is necessary to make this channel successful," he said.